Nigerian Prophet, T.B. 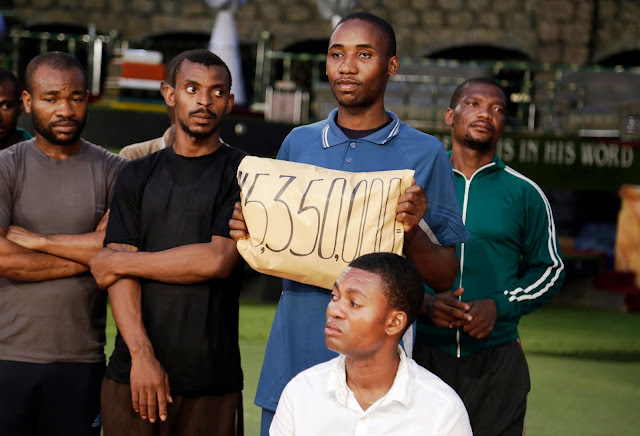 Joshua, has splashed N6m ($30,000) on over a hundred Nigerian deportees who arrived from Libya on the evening of Thursday 16th June, 2016. 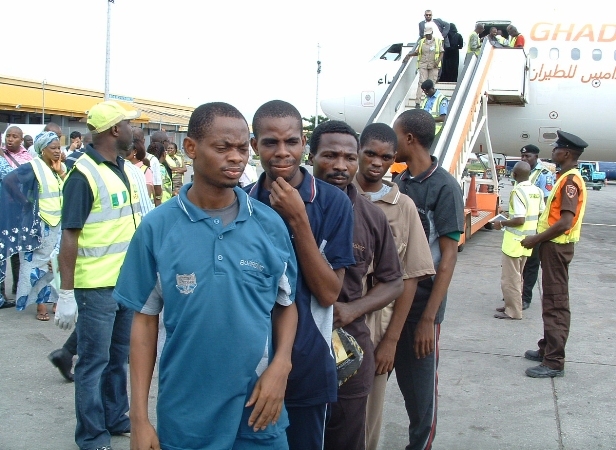 ​According to media reports, 162 Nigerians were deported from the North African nation with the aid of the International Organisation for Migration (IOM) in collaboration with the Swiss government and the Nigerian Embassy in Libya. 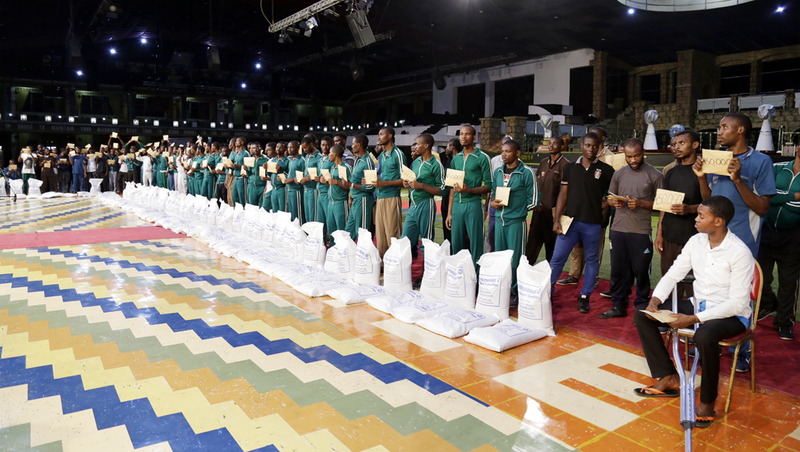 However, rather than return home, 107 decided to 'seek refuge' at The Synagogue, Church Of All Nations (SCOAN), the popular Lagos-based church of T.B. Joshua. 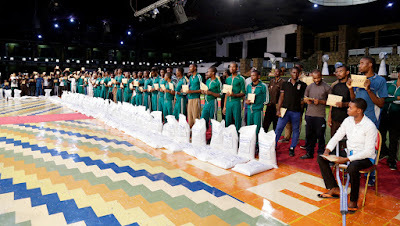 According to a post on Joshua's official Facebook Page, after feeding the dishevelled and frail-looking Nigerians who arrived at the church late in the night, the sum of N50,000 was given to each of them alongside a bag of rice. "Let me be honest with you, if not for this gift from T.B. Joshua, I had the plan of joining the militants in the Niger Delta," admitted Friday, a returnee from Delta State, who fell to his knees in gratitude after receiving the gift. The deportees explained to this reporter that most of them had been surviving by doing menial jobs in the war-torn nation before being arrested and imprisoned. "We came back with nothing but the clothes on our backs which were given to us by United Nations officials," said Michael, an Edo State indigene who had been in Libya for nearly ten months, washing cars for a living while nursing the hope of reaching Europe one day. Arrested in February for staying illegally, Michael endured several months in a Libyan prison before the insufferable conditions of the prisoners attracted the attention of United Nations officials who procured their eventual release. "I was thinking of how I was going to start my life again," he admitted. "Many of us would have ended up in crime if not for this gift." Upon arrival, the National Emergency Management Agency (NEMA) provided transportation vehicles for the returnees to their respective states along with a gesture of N10,000 by the Swiss government. However, the majority chose to seek help from Joshua, who is famed for his extensive humanitarian gestures. "We decided to come to The SCOAN because we know how Prophet T.B. 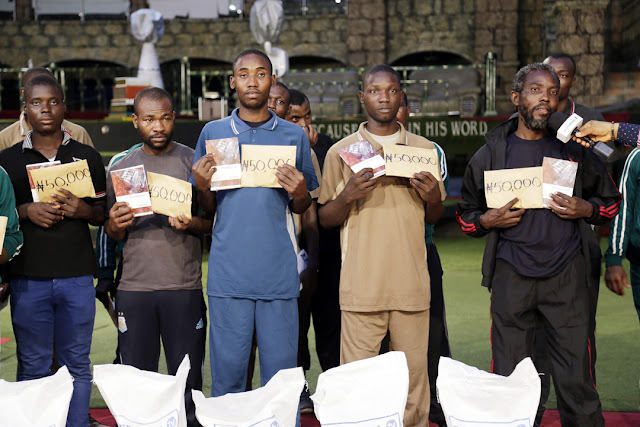 Joshua has been helping people around the world," Michael explained, referring to multiple other occasions where Joshua has rendered assistance to Nigerian deportees. "I can only thank the man of God. Which other Nigerian could have done this for us at such a time in this country? "he tearfully pondered, decrying the muted response from the Nigerian government to their plight. According to Collins, the young Nigerian had no intention to traverse Libya. Wild promises from a 'friend' of a glamorous life in Europe lured him away from a stable job in Abuja, not knowing that the European dream would lead him to a Libyan dungeon. The fantasy turned to a nightmare as Libyan police broke into the commune where he was residing with dozens of other Nigerians en-route to a 'better life' abroad that never materialised. "We are not here to blame or accuse the Libyan government," he stated, recounting the inhumane conditions he endured in prison in which several of his colleagues died. One of the deportees hobbled to the church on crutches. "I had a serious motor accident shortly after arriving to join my wife in Libya," he narrated. "I have been in pain ever since but I thank God for using Prophet T.B. Joshua to wipe our tears away today." 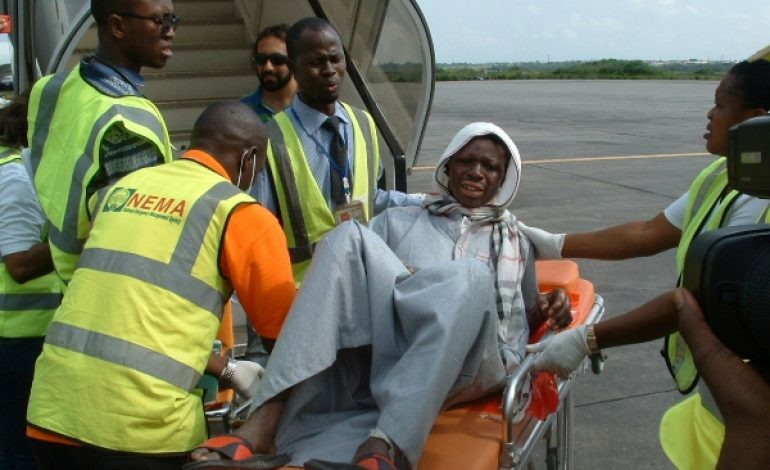 Joshua, who recently celebrated his 53rd birthday on June 12th 2016, also assisted Nigerian deportees who returned from Libya earlier this year, as well as aiding Nigerians returned from South Africa last month.